It's simple. 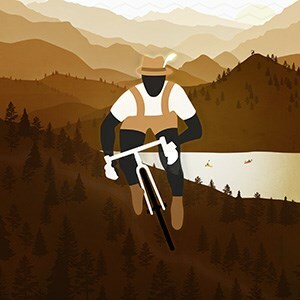 Ride as many mountainous tours as you can. Each tour has a corresponding number of points designated by it's elevation (Mountain Points). The more elevation you climb, the more points you will receive. Riders who reach 50 points will receive a King of the Mountains Badge and unlock the ability to purchase the Official King of the Mountains jersey. View Mountain Point values here.